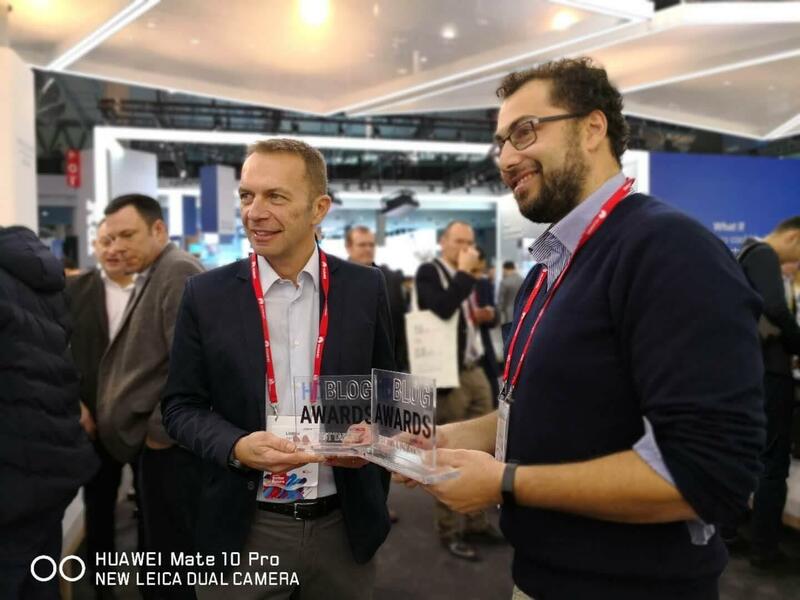 Barcelona - March 1, 2018 - It is the last day of MWC 2018, and HUAWEI is taking home 33 awards and "best of" list recognitions. 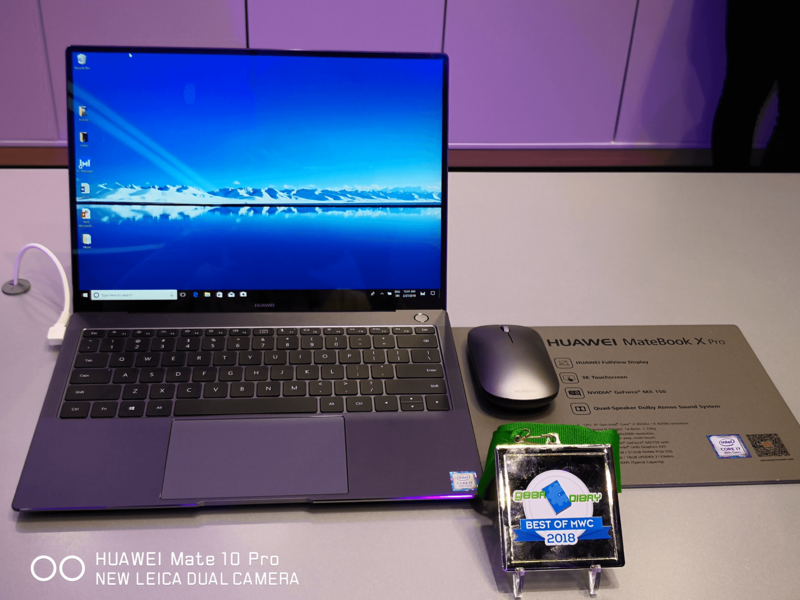 The HUAWEI MateBook X Pro and HUAWEI MediaPad M5 Series have received overwhelming praise from technology media around the world, applauding HUAWEI for transferring its smartphone excellence to its flagship notebook and tablets. Media particularly loved the craftsmanship and performance enhancements, which make these devices top contenders for consumers, no matter their technology needs and wants. 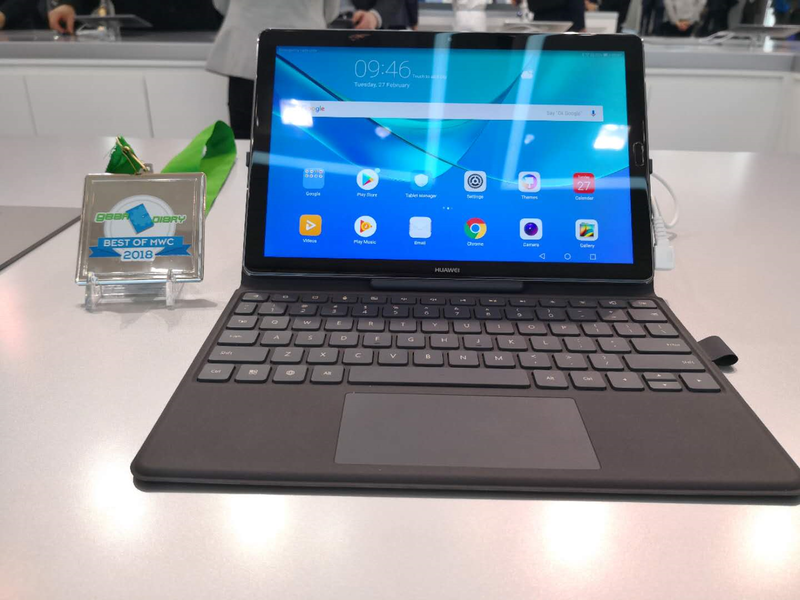 Android Headlines recognized the HUAWEI MediaPad M5 with a "Best of MWC" award for the device's great audio, especially the surround-sound which is great for multimedia. Android Headlines is a global website dedicated to Android news and reviews about technology, as well as business topics. It reaches 3.83 million readers. 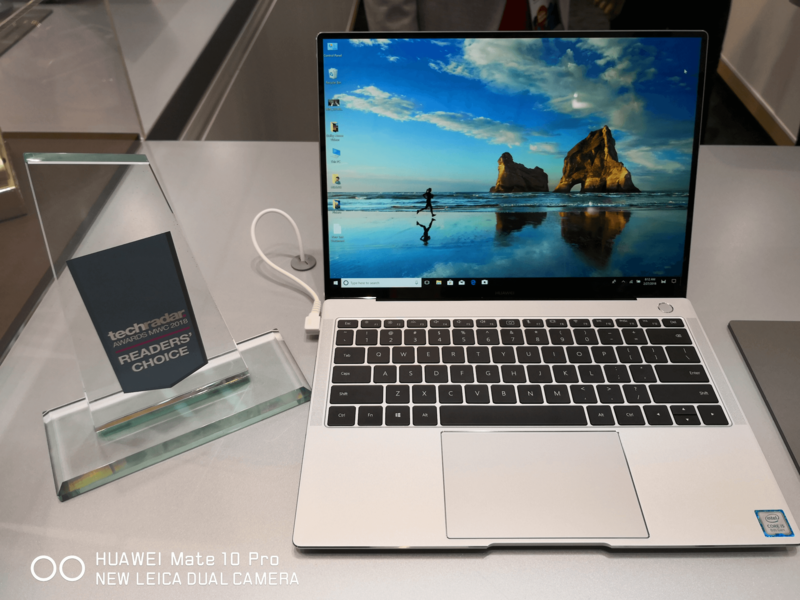 TechAdvisor named the HUAWEI MateBook X Pro as a "Top Pick" at MWC 2018 for its build quality, stand-out Dolby Atmos speakers and touchscreen - all of which make it a "premium, ultraportable" laptop. TechAdvisor is a global IDG publication offering expert help and advice including news, hardware reviews, forums and more. It reaches 21.45 million readers. Gear Diary picked the HUAWEI MateBook X Pro as a "Best of MWC" device, thanks to its impressive design and specs. 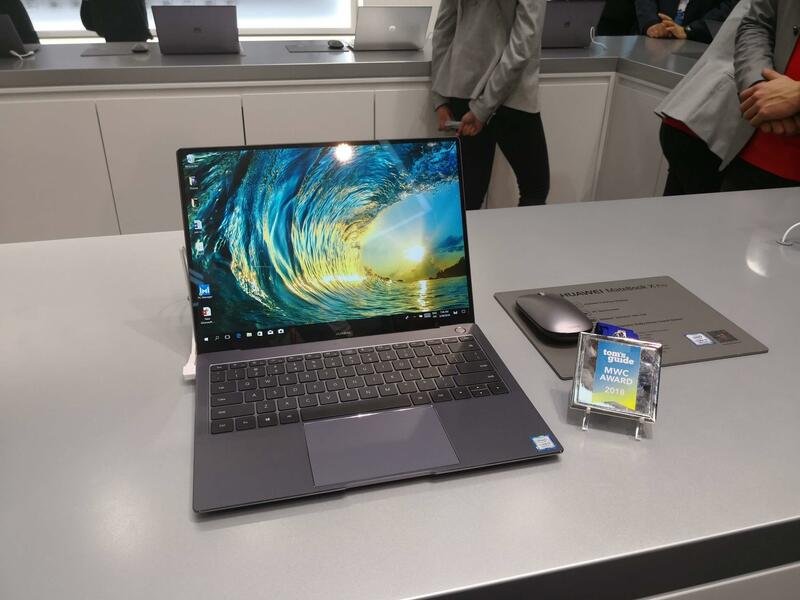 It also highlighted how well HUAWEI has done refining the MateBook Series, turning it into a top contender in the industry. 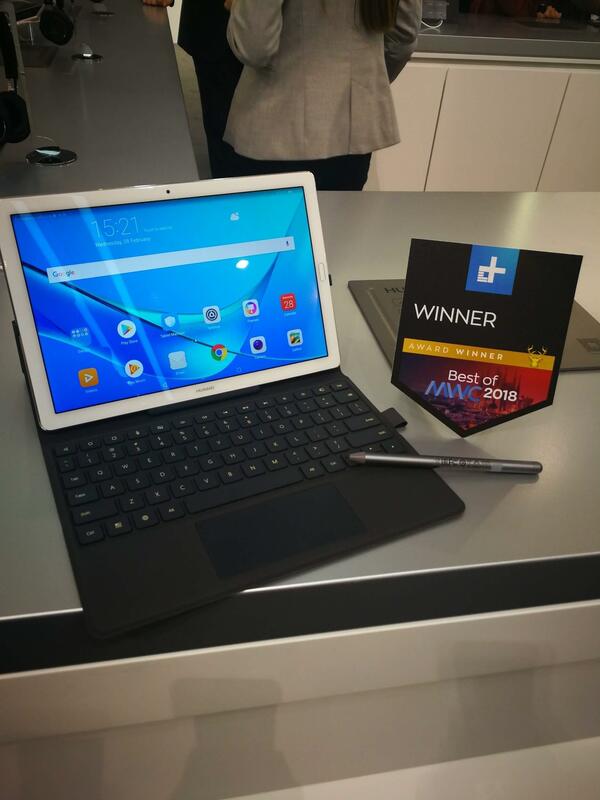 Gear Diary also gave the HUAWEI MediaPad M5 a "Best of MWC" award for being a solid and premium tablet. The outlet told readers they will be quite pleased with the new MediaPads, especially because they come unlocked with GSM support for a SIM card. Gear Diary is U.S.-based website that provides its users with easy-to-understand information about technology. It reaches 149840 readers. 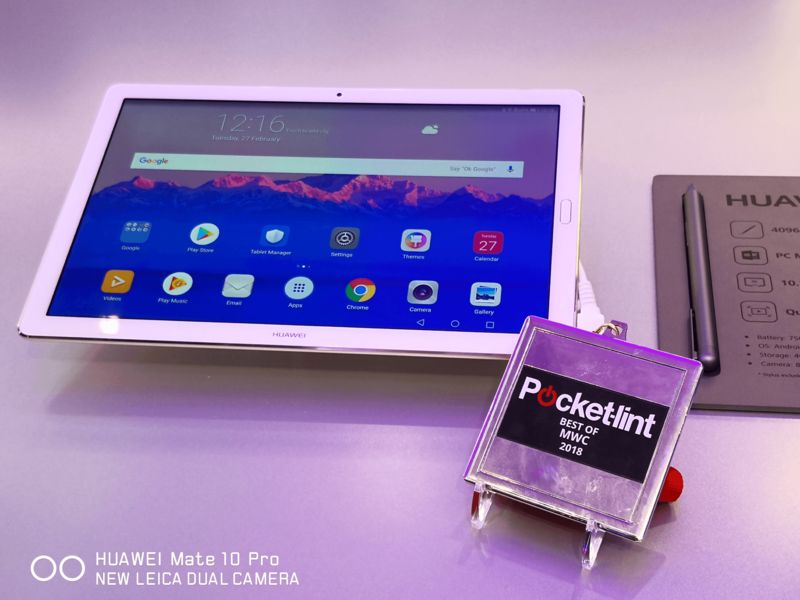 Pocket-lint gave the HUAWEI MediaPad M5 Series a "Best of MWC" award for its slim unibody design, high resolution screen and on-the-go connectivity. 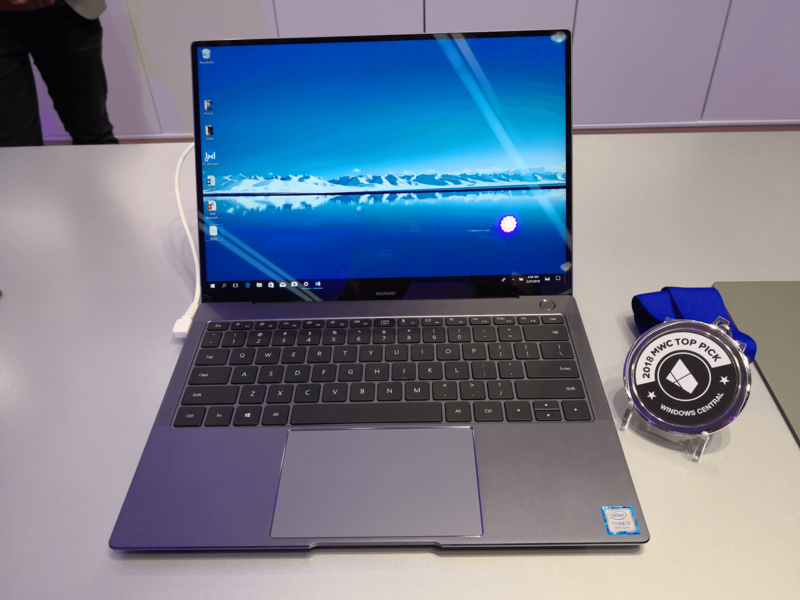 Pocket-lint also awarded the HUAWEI MateBook X Pro with a "Best of MWC" award for its unibody metal design, a "stunning trim-bezel screen" and pop-up camera for privacy and security. Pocket-lint is the largest independent gadget news and reviews site in the UK and has 17.7 readers a month. Android Central named the HUAWEI MediaPad M5 a "MWC Top Pick" for its upgraded hardware, a newer software based on Android 8.0 Oreo and M-Pen. Android Central is a leading Android community that attracts 27.2 million monthly visitors. Windows Central chose the HUAWEI MateBook X Pro as an "MWC Top Pick" for its impressive design that "stretches the screen to edges" and "removes every bezel." Windows Central is considered the leading source for Windows news, featuring reviews, help & tips, buyer guides, forums and accessories. The publication attracts 27.2 unique monthly visitors. Ubergizmo recognized the HUAWEI MateBook X with a "Best of MWC" award for its "premium feel worthy of the best PC out there" and quad-speaker setup. Ubergizmo is a top technology blog that has 5.1 million monthly visitors. 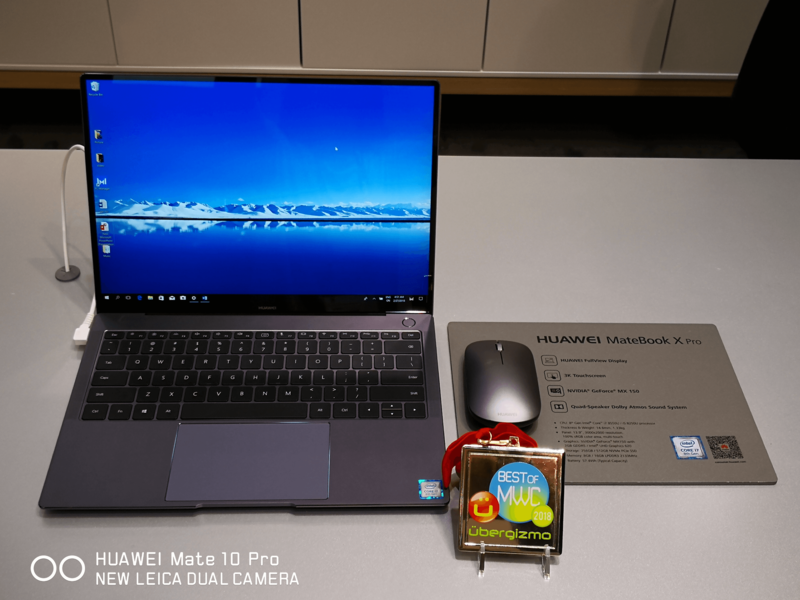 HDblog selected the HUAWEI MateBook X Pro as its "Best Design" award recipient. Calling the notebook's design something that should not go unnoticed, particular highlights include the FullView display, touch screen, screen-to-body ratio and metal body. 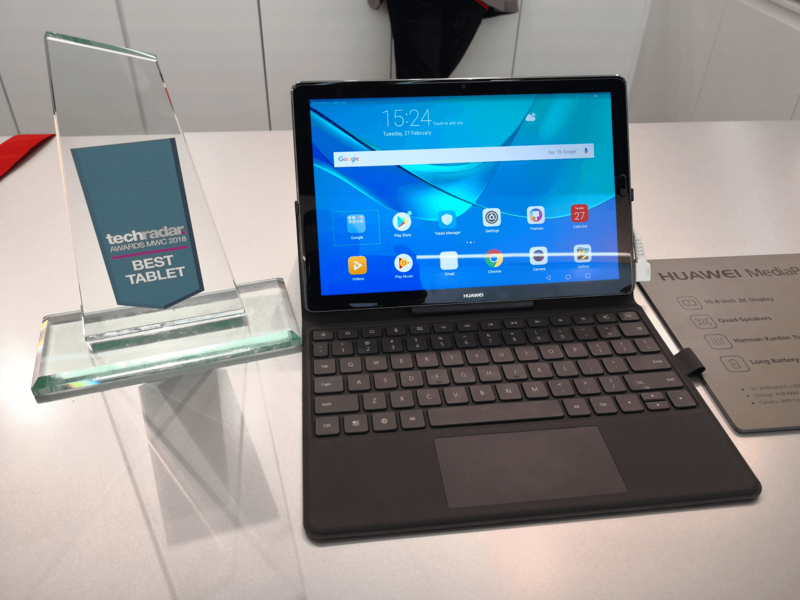 HDblog also named the HUAWEI MediaPad M5 the "Best Tablet" at MWC. The outlet really liked the 2K display with ClariVu 5.0 enhancements, as well as the audio capabilities and impressive performance. HDblog is a leading Italian publication known for its technology benchmarks and exclusive videos. It has 2.1 million readers a month. Teeech gave the HUAWEI MateBook X Pro its "Best Design" award. 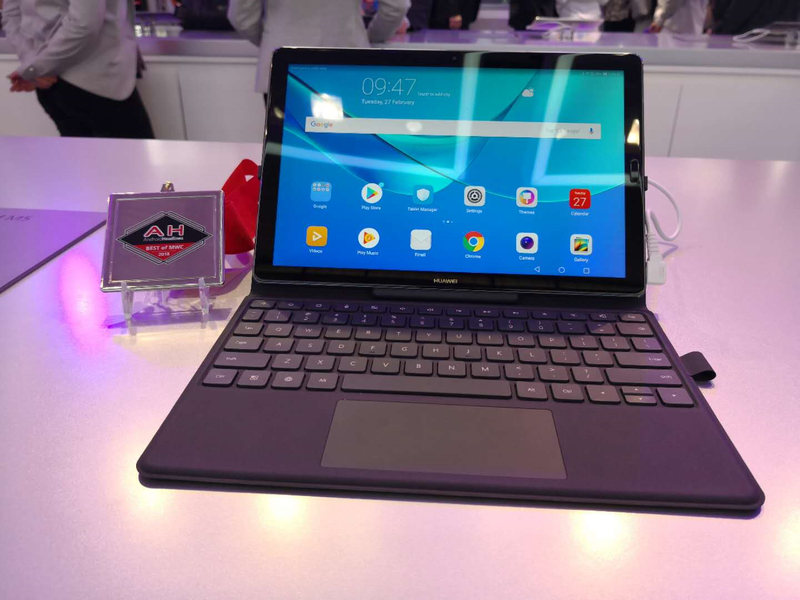 The publication applauded HUAWEI for its impressive attention to detail, and the device for being the first notebook in the world with FullView display. The HUAWEI MateBook X Pro also received the site's "Users' Choice" award, while HUAWEI is taking home an award for being the "Best Brand." Teeech is an Italian tech site with reviews and news on Android, Windows, video games, and more. It reaches 100617 readers. 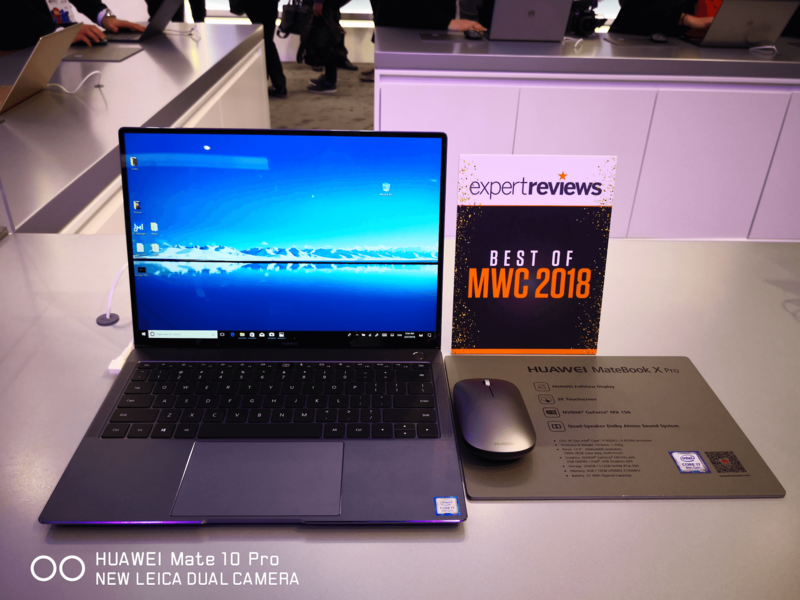 Expert Reviews awarded the HUAWEI MateBook X Pro with a "Best of MWC" title. The device is "HUAWEI's next generation MacBook killer" due to its design, bezel-less screen and fast speeds. Expert Reviews provides authoritative and independent technology reviews based on in-depth testing to help consumers find the perfect products to buy. It attracts 7 million unique monthly visitors. 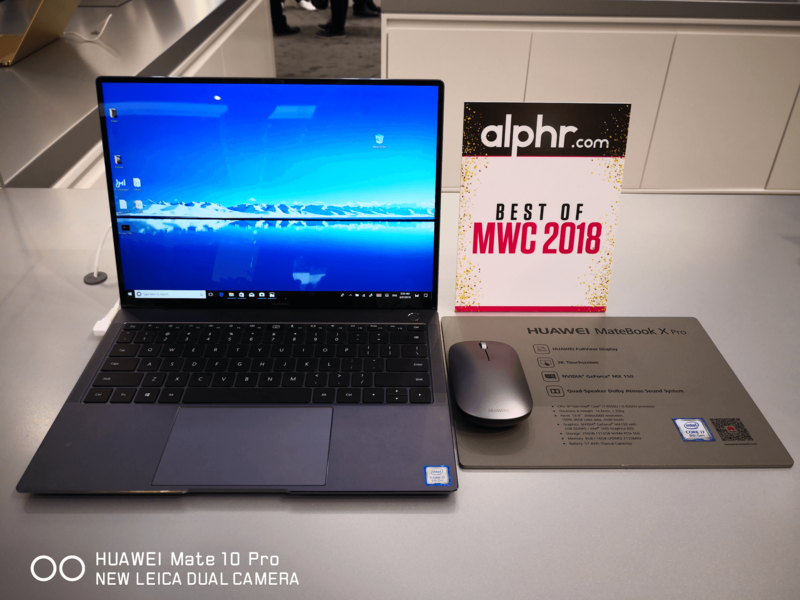 Alphr gave HUAWEI a "Best of MWC" award for the HUAWEI MateBook X Pro, citing the screen, fast fingerprint reader and sound system as reasons why the devices is "a serious contender in the industry." Alphr is a tech site that goes beyond news and reviews to bring consumers information about how technology is revolutionizing daily life. It attracts 1.9 million unique monthly visitors. 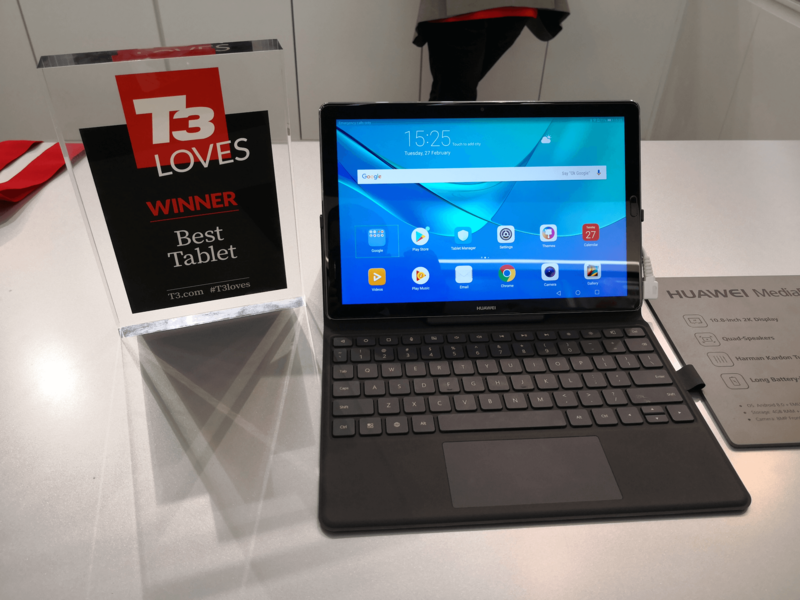 T3 awarded the HUAWEI MediaPad M5 "Best Tablet" of MWC, noting that in the high-end Android tablet market, the HUAWEI MediaPad M5 stands out for its premium build, features and optional stylus. 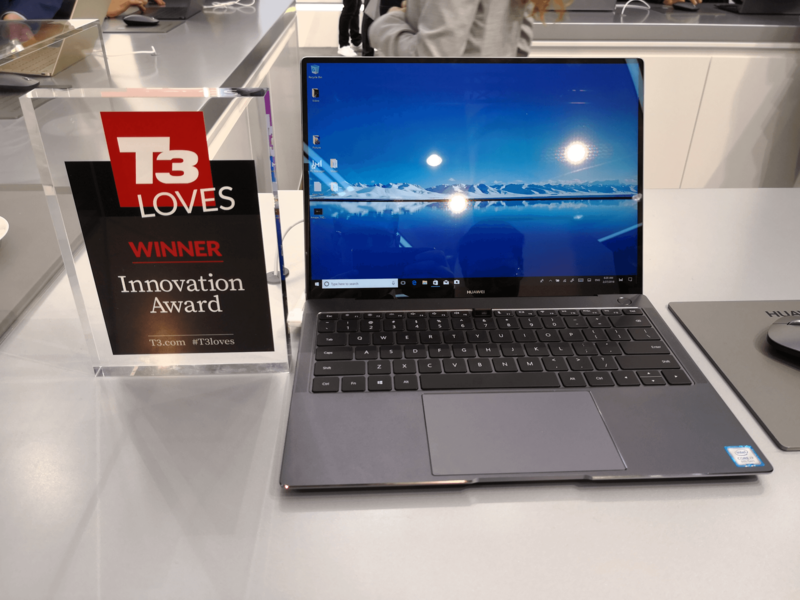 T3 also gave HUAWEI an "Innovation Award" for the HUAWEI MateBook X Pro. 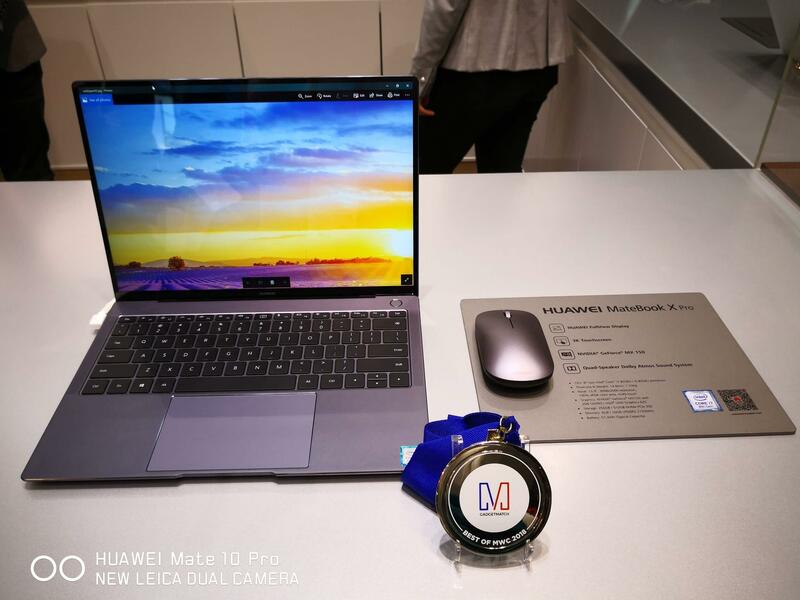 It said HUAWEI used its knowledge from its experience in the smartphone industry to streamline the design and features of the HUAWEI MateBook X Pro. T3 covers the latest gadget and technology news, reviews, buyer's guides and features for smartphones, laptops, audio, gaming, fitness and more. T3 attracts 1.78 million unique monthly visitors. 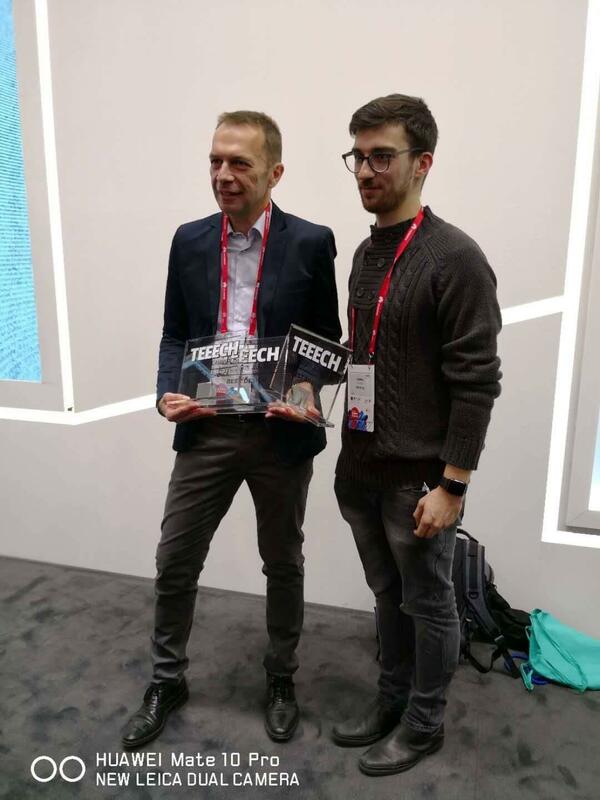 TechRadar recognized the HUAWEI MediaPad M5 as the "Best Tablet" and a "Readers' Choice" (Highly Recommended) at MWC. The device was applauded for its Kirin 960 chipset, support for LTE and Wi-Fi, as well as its 8 MP front-facing and 13 MP rear-facing camera. TechRadar also gave the HUAWEI MateBook X Pro a "Readers' Choice" award. The outlet was impressed by the laptop's premium design, unique webcam placement and ultra-fast performance. TechRadar is an online publication focused on technology, with news and reviews of tech products, especially gadgets. It attracts 47.3 million unique monthly readers. Trusted reviews awarded the HUAWEI MateBook X Pro a "Best of MWC" title. 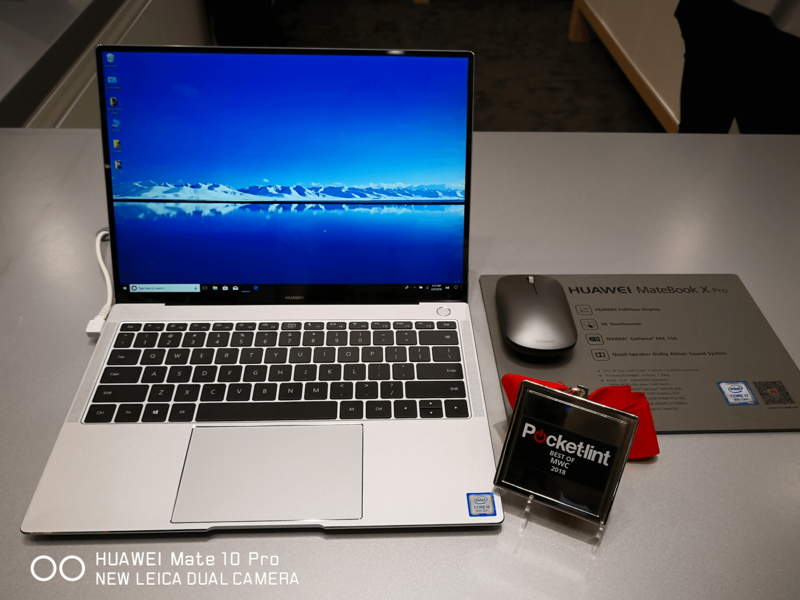 It said the HUAWEI MateBook X Pro "could be one of the best Ultrabooks to arrive this year" thanks to its premium design and feel. Trusted reviews offers reviews of the latest consumer electronics, IT and computing products, technology industry news, analysis and product launches. It attracts 23.3 million readers. PCMag named the HUAWEI MateBook X Pro "Best of MWC - Laptop" for being super-slim with a compelling screen design at an affordable price. These features, plus the discrete graphics, make HUAWEI a "company worth watching in the Windows world." PCMag is a global sit testing and reviewing computers and other Internet-related products and services. It has 28.8 million readers a month. Digital Trends recognized the HUAWEI MediaPad M5 with its "Best Tablet" award for being a "video binge-watcher's dream." The size of the screens, design, audio capabilities, and overall design make it perfect for watching video and playing games. Digital Trends is a premier source for technology news and product reviews. It attracts 25.53 readers monthly. Mashable included the HUAWEI MateBook X Pro in its list of best phones and mobile products at MWC 2018. The outlet was most impressed by the nearly bezel-less display and the hidden webcam, but called out that the rest of the laptop's specs are top-notch, too. Mashable is a global media and entertainment company with 25.53 million readers a month. 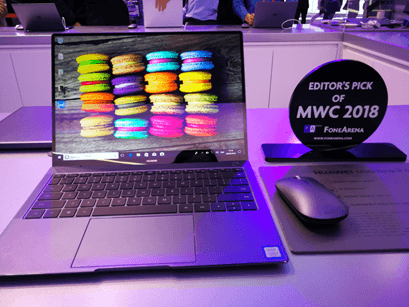 FoneArena was the HUAWEI MateBook X Pro’s "Editor's Pick" for being the first notebook with FullView display and a 91 percent screen-to-body ratio. The editor's also loved the device’s 8th gen Intel Core processors and metal body design. FoneArena is the leading independent mobile portal in India with 2.77 million unique visitors monthly. 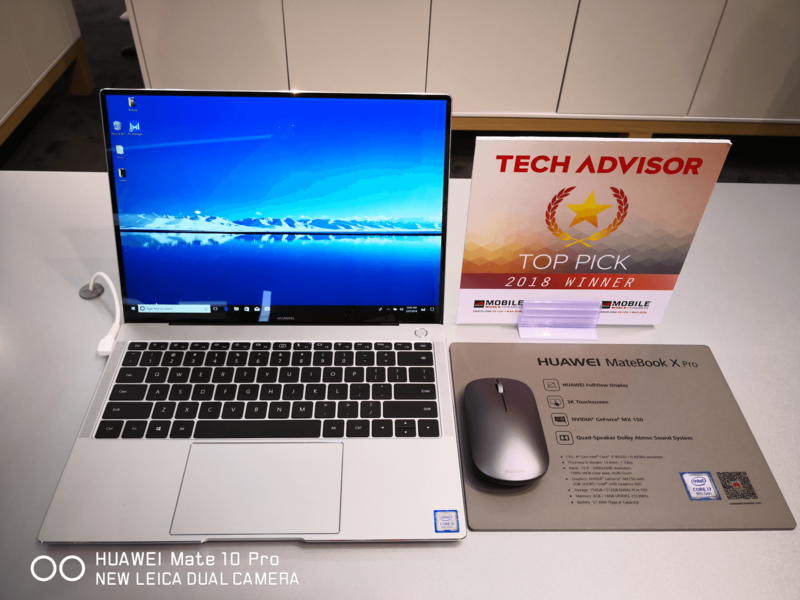 Tom's Guide chose the HUAWEI MateBook X Pro as one of its "Best of Show" winners for Best Laptop. It particularly likes the device's design innovations, high-performance hardware and elite craftsmanship, which it a comprehensive package for users. Tom's Guide is a website offering unbiased reviews, buyer's guides, tutorials and more. It has 46.11 million readers. Sakhtafzar Mag picked the HUAWEI MateBook X Pro as its "Editor’s Choice" thanks to its elegant design, slim and light-weight body, powerful hardware, and usability for students. The outlet is Iran's top tech publication, geared toward readers who are looking for interesting IT content in Persian language. It has 513936 monthly readers. 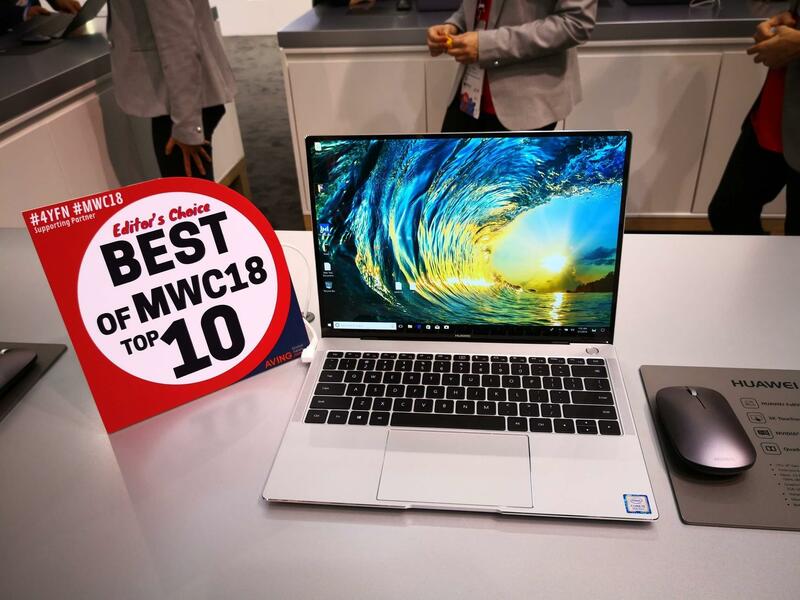 AVING Global News Network presented the HUAWEI MateBook X Pro with an "Editor's Choice - Best of MWC 2018 Top 10" award for its combination of beautiful design, a bright high-res display and innovative features such as a recessed camera. AVING Global News Network is an international media network, specializing in product news and reviews from exhibitions around the world. Its online website has 85106 readers. 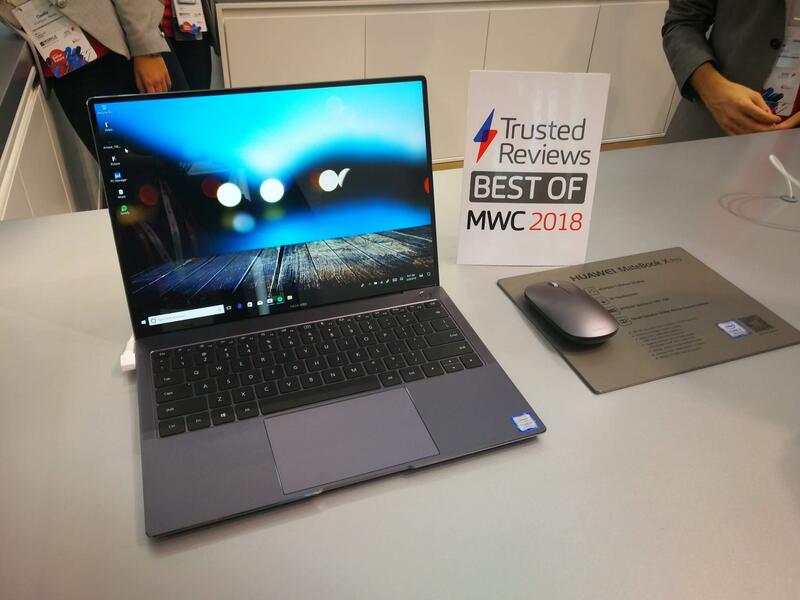 GadgetMatch gave the HUAWEI MateBook X Pro a "Best of MWC 2018" award, praising its thin and light design, powerful performance and cleverly-hidden camera. GadgetMatch is a leading multi-platform media company providing technology news, reviews and video content to help consumers find the right devices to suit their needs. It has 309673 monthly readers. BGR included the HUAWEI MateBook X Pro in its online "Best of MWC 2018" list, telling readers they "absolutely have to check out" the device. The reporter called it a "bewildering machine" that has more to offer than competitor products. BGR is a technology-influenced website covering topics such as consumer gadgets, entertainment, gaming and science. It has 17.5 million readers. 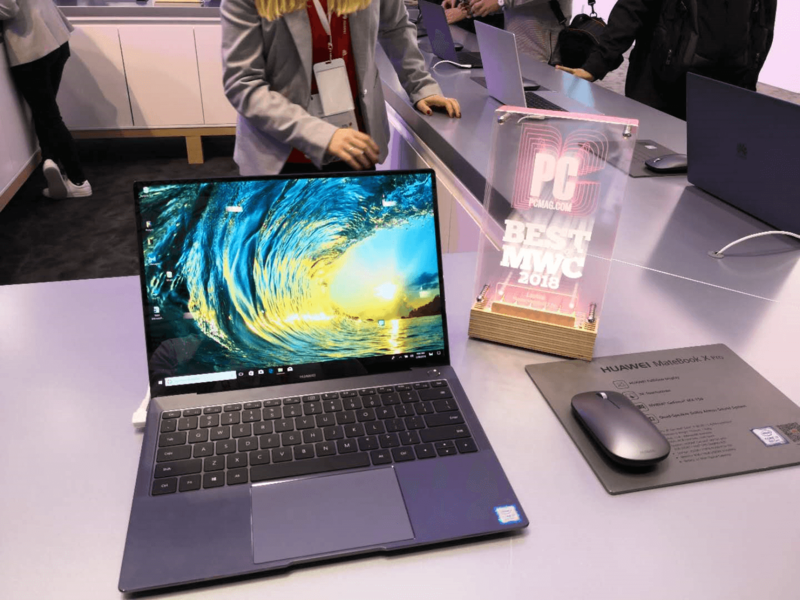 Lifehacker AU included both the HUAWEI MateBook X Pro and HUAWEI MediaPad M5 on its list of "Best New Products" from MWC. The "nifty-looking" notebook and tablet series were praised for a wide range of features, from display and design, to camera and performance. Lifehacker is an international weblog about life hacks and software. The AU site has 6 million visitors a month.